Waterloo EDC is the one-stop concierge service for those looking to locate, relocate or expand to Waterloo. We aim to foster, support and deliver an integrated approach to economic development in Waterloo Region. 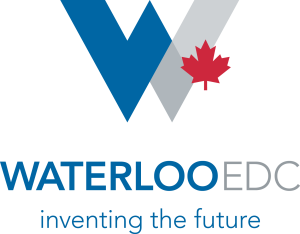 The Waterloo EDC website is a dynamic new tool designed to increase foreign direct investment in Waterloo Region. We began by conducting extensive research on our target markets. This enabled us to formulate website messaging that attracts the attention of key stakeholders and caters to the needs and interests of specific audiences. We want our online presence to provide a positive first impression of the community, reflecting the vision and values of the Region. The new website contains valuable content and interactive features, including up-to-date demographics data, business real estate listings, a government incentives database, and a map detailing the landscape of local industries and business support organizations. By increasing awareness of Waterloo Region as a globally-renowned location to do business, as well as facilitating contact between company leads and Waterloo EDC, the website is driving economic growth. As foreign companies choose Waterloo Region to locate, relocate or expand their business, established businesses in the Region will see increased opportunities for partnership and collaboration – a key factor in community growth.